In ancient times, people carried bloodstones to protect themselves from excessive blood bleeding. 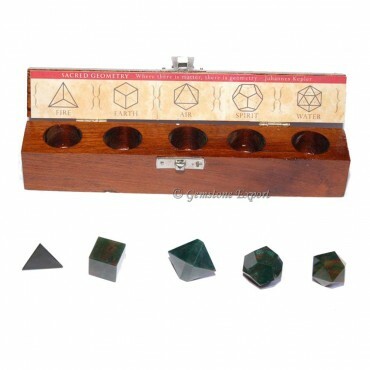 Gemstone Export carves this beautiful 5 piece geometry set that help you with blood related problems. Keep them with you always so that you remain physical fit.